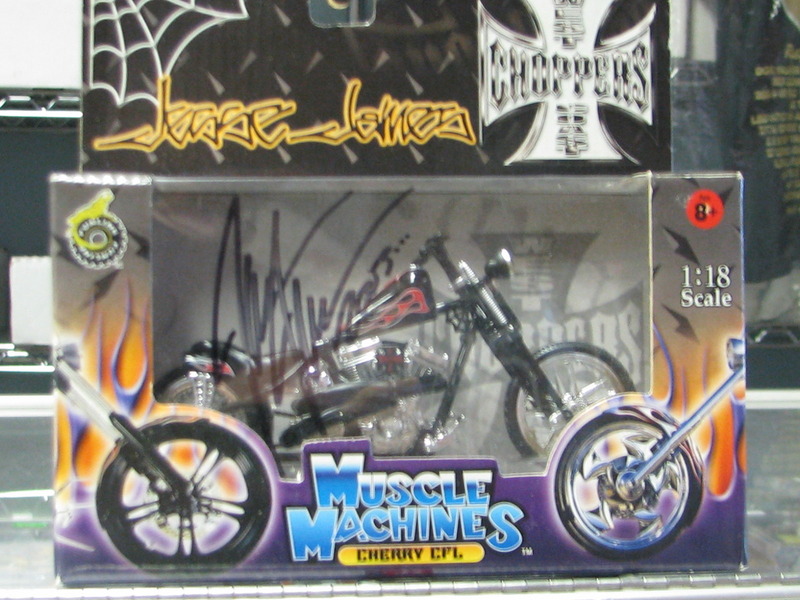 Black sharpie auto by designer and artist Jesse James. 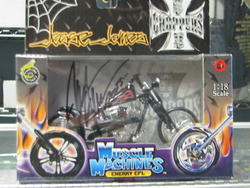 Jesse James signed package "Muscle Machines" Cherry CFL. Item is brand new and never opened. All items are deemed AUTHENTIC and have a LIFETIME MONEY BACK GUARANTEE on the FULL PURCHASE PRICE.